Kuala Lumpur is a quick transit destination for many visitors traveling to other parts of the world. Many travelers directly head to the malls, but often miss out on the top notch attractions of the city. There are so many beautiful things to do in Malaysia that it often surprises visitors with its varied diversity. If you are in a similar situation where you have only a day to capture the best of Malaysia, then this article would be a great benefit for you. 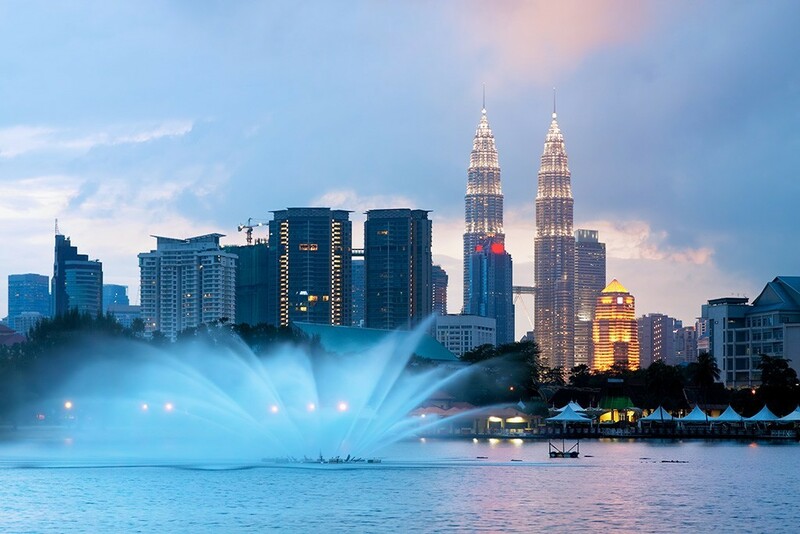 Kuala Lumpur is home to iconic structures like Petronas Twin Towers and Menara KL Towers, vibrant flea markets, expansive shopping malls, excellent dining restaurants serving both local and international cuisine, flashy night markets, superb theme parks, and active nightlife hotspots. Reading through this article provides a glimpse of what Malaysia is really about and the offerings of this fabulous city. You should start with the iconic structures like the Petronas Twin Towers, the tallest twin towers in the world. Accessible easily from all corners of the city via Metro, bus, or taxi, the imposing towers stand 452 meters above ground level with a 58-meter long bridge connecting the two towers. It is a sight to watch out; the city skyline looks fabulous from the top. 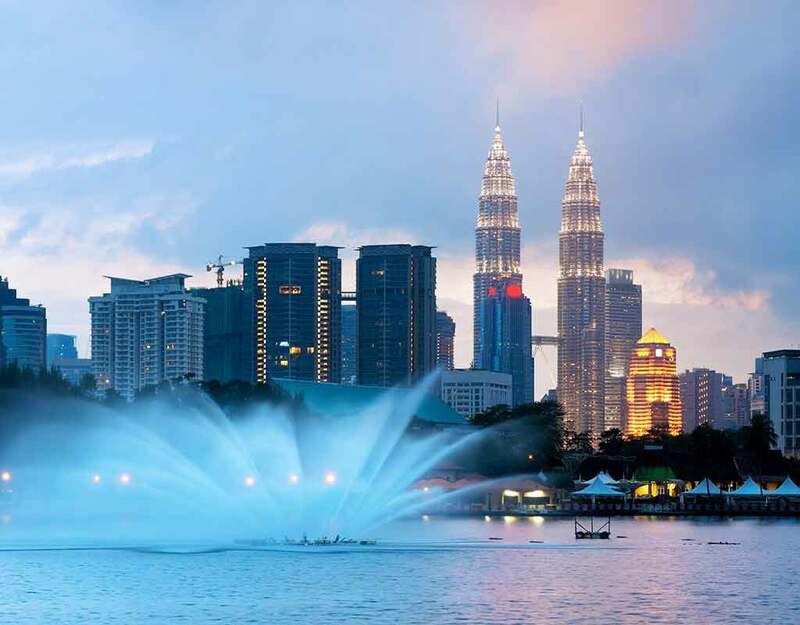 There are plenty of attractions in the neighborhood that you can browse through to spend your mornings starting from Petronas Art Gallery, Kuala Lumpur Convention Center, KLCC Park, and Suria KLCC. The Petronas Twin Towers was one of the tallest structures in the world before the mighty Burj Khalifa, and other structures overtook them. This 88-storey building designed by Cesar Pelli & Associates uses critical elements of the Islamic inspired culture and houses several corporate houses including the corporate headquarters of the Petronas Company. 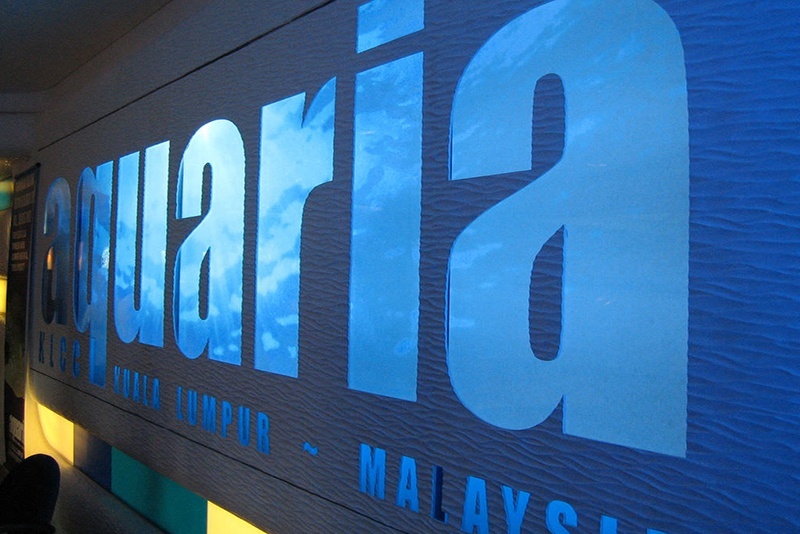 The Aquaria KLCC is lavishly spread over 465 square meters in the concourse level of the KLCC building. There are close to 5,000+ freshwater and marine creatures housed within the aquarium. The highlight of this gigantic aquarium is the massive glass tank that features a 90-meter tunnel walkaway that includes a moving travelator located in its center. A rare opportunity to share intimate moments with tiger sharks and stingrays in a confined cage inside the tank. The KLCC Park is beautifully landscaped and features a walking path, a jogging track, a wading children’s pool, and a water fountain. The Petrosains Science Centre inside the Suria KLCC building exhibits interactive displays that provide insights about the petroleum industry including the hot-selling oil-based products. These attractions give a refreshing start to the day and one of the best things to do in Malaysia. Shopping is a fun past time activity that you can easily spend the afternoon. There are shopping destinations that feature great deals and big bargains all through the year. The Central Market is one of the famous flea markets within the city. You can purchase anything from traditional apparel to authentic batik prints and artwork to intricate figurines of Chinese and Hindu Gods. 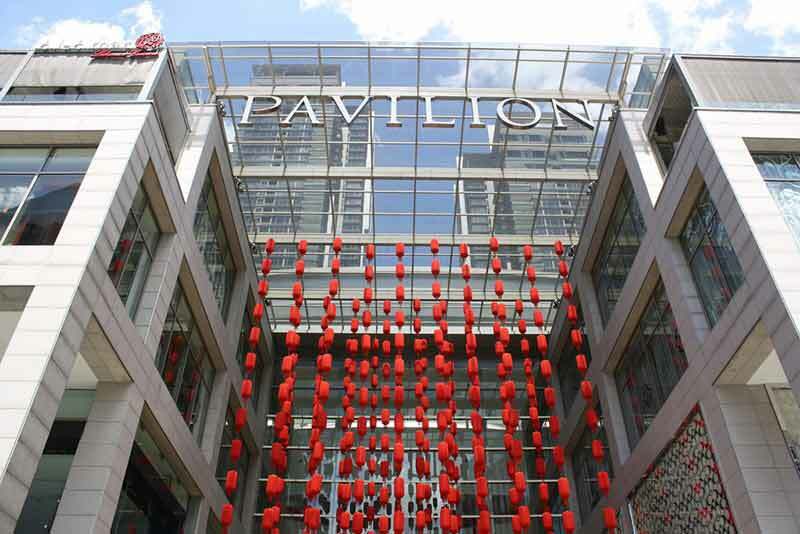 If you wish to indulge in some premium shopping, head to the Pavilion Shopping Centre. Browsing through 450+ luxury brands is an experience itself. The interiors feature a white marble design and colorful Pavilion Crystal Fountain welcoming guests at its entrance. This fountain is the tallest Liuli Crystal fountain found in Malaysia. A 30-minute stroll the Pavilion Shopping Centre will bring you to the Sultan Abdul Samad building that has a high significance in the Kuala Lumpur history. Built with only bricks, this well-preserved building features essential influences from Moorish, western, and gothic designs. Standing 41.2 meters high is the clock tower that graces the building and enhances its appearance. 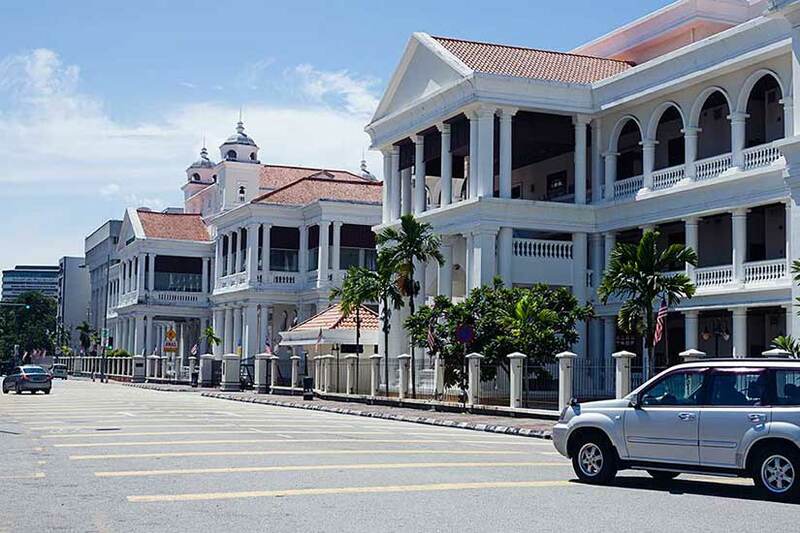 Alternatively, you can browse through the historic tourist hotspots of the city, the historic towns of Malacca and Georgetown. 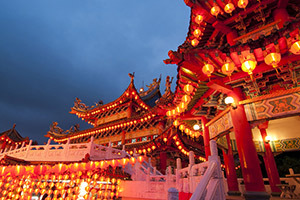 Malacca has heavy influences of Chinese, Malay, European, Indian, and various other cultures. A laid-back city ambiance that drives traffic at a leisurely pace, Chinese shops fronts and ancient Malay kampongs dot the historic town. The Friday and Saturday Jonker Walk Night Market hosts a wide variety of items except for the kitchen sink. Do try out the fried radish cake along with the fried egg ice cream, a delicious combo that will melt in your mouth. Post sunset, there are plenty of bars that feature in a mini street party, live music, and a lot more. Georgetown is a historic city featuring heavy influences from the western and eastern side and has been named as a UNESCO Heritage Site. Dotted with several Chinese storefronts, refurbished Chinese manors, artsy boutiques, funky shopping centers, cafes, and studios. One of the sites where you will find a high percentage of expat population. 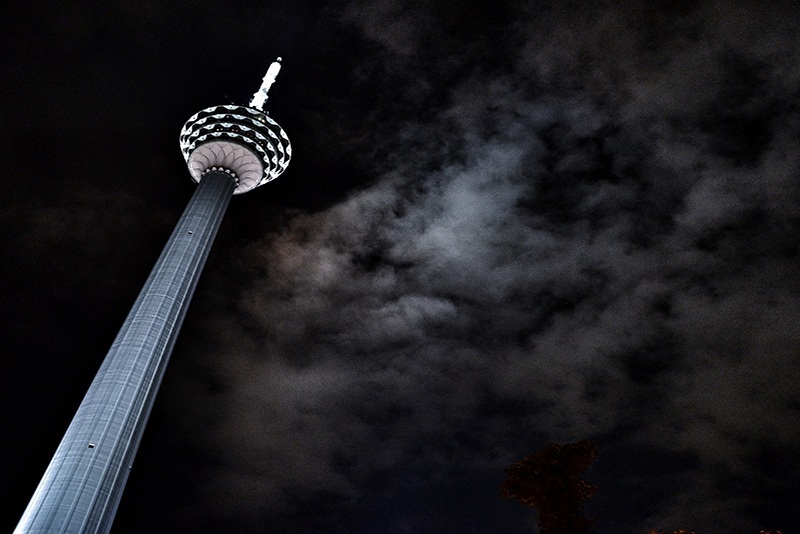 The Menara KL Tower is a must-visit destination in Kuala Lumpur post-sunset where you can enjoy stunning views of the city landscape. The observation platform placed at 276 meters is one of the highest in Malaysia. Some of the highlights of this massive structure are the revolving restaurant named Atmosphere 360 where you can enjoy stellar views of the city while savoring a delicious meal. Petaling Street in Chinatown is a hot favorite if you still looking for some last minute cheap bargains. You can enjoy a pint of beer and dance along with the crowd in Changkat Bukit Bintang that is dotted with resto-bars, bar lounges, pubs, bars, and dance clubs. Grab a quick bite as you try out the lip-smacking street food at Jalan Alor hawker stalls. This spot is famous for after club snacks. Placed just behind Jalan Bukit Bintang, the food exhibits a traditional charm with vibrant lighting, endless rows of hawker stalls, and mini red Chinese lanterns decorating the trees. 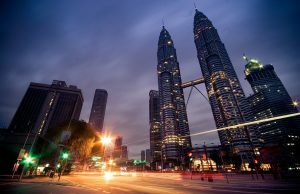 Well, Kuala Lumpur has so many things to do that you would be spoilt for choices. 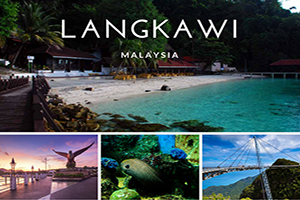 Some of the attractions that you would probably miss out due to the shortage of time are Redang Island, Penang Hill, Sky Bridge, Kinabalu National Park, Cameroon Highlands, and much more. You can bid farewell to Malaysia by indulging in some duty-free shopping at the Kuala Lumpur airport. An excellent way to end your pleasant experience. 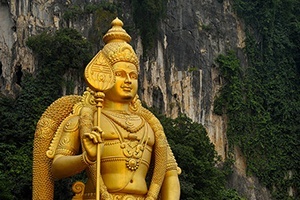 Although it will be challenging to explore the vibrant city of Kuala Lumpur in just one day, there are still plenty of experiences to catch hold of the city’s vibrant culture. With so many marvelous things to do, exploring this diverse city is an enriching experience.